A popular "encryption" package for Android that even charges a yearly subscription fee of $8 actually does nothing more than give a false sense of security to its users. Not only is the app using a worthless encryption method, it also uses weak keys and "encrypts" only a small portion of the files. One wonders how much snake oil flows through the app stores, from "battery savers" to "antivirus." What is the most worthless app purchase you made? Did you ask for a refund? How would you like to be able to know the chemical composition of something, just by taking a snapshot or video of it with your smartphone? You may eventually be able to, thanks to a compact hyperspectral imaging camera being developed at Tel Aviv University. "Hyperspectral imaging involves scanning light spectra not visible to the human eye, in order to identify the unique electromagnetic 'fingerprints' of various substances and processes. While this can already be done with larger cameras, a team led by Tel Aviv's Prof. David Mendlovic is developing a much smaller optical component that could conceivably be built into a smartphone. It utilizes MEMS (microelectromechanical systems) technology, and is reportedly 'suitable for mass production and compatible with standard smartphone camera designs.'" Sadly, the he-said-she-said disputes over bending smartphones aren't ending any time soon. 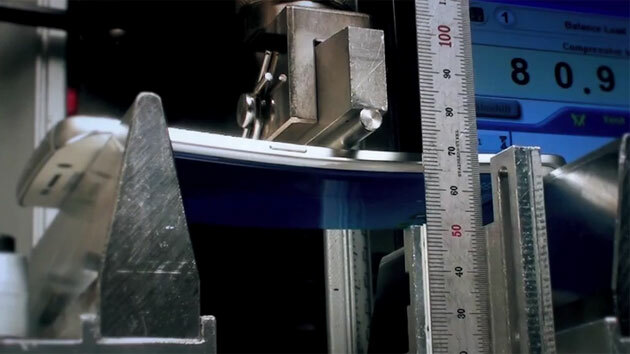 Samsung has responded to SquareTrade's allegations that the Galaxy S6 Edge is easily bendable by posting a video that shows the official stress tests for both the Edge and the regular S6. As you might expect, both devices hold up in this company-sanctioned clip -- they can withstand up to 79 pounds of force at three different points, which is enough to snap five pencils in half. Supposedly, this is more pressure than you'd put on your phone if it was in your back pocket. The Korean firm also notes that SquareTrade only tested on the front, not the back where tolerance levels are different. Apple is not able to launch its new smartwatch in Switzerland until at least the end of this year because of an intellectual property rights issue, Swiss broadcaster RTS reported on its website. The U.S. tech giant cannot use the image of an apple nor the word 'apple' to launch its watch within Switzerland, the home of luxury watches, because of a patent from 1985, RTS reported, citing a document from the Swiss Federal Institute of Intellectual Property. 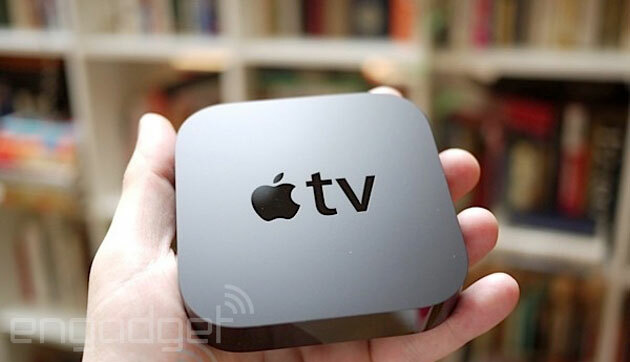 The long-rumored Apple TV update is expected to do many things, including run appsand stream a TV service, but there's one thing it isn't expected to do: play 4K video. A source for BuzzFeed News' John Paczkowski (who's historically accurate with such rumors) claims that Apple's upcoming media hub will stick to 1080p because 4K technology is "still in its infancy." While the A8 chip rumored to be in the device can handle the ultra-high resolution, the market just isn't there yet. Even Amazon andNetflix don't have a lot of 4K content, and there's also the question of finding enough people with both compatible TVs and sufficiently speedy internet access. That's disappointing if you were hoping to get a truly future-proof box, but it's hard to see Apple investing a lot of money into services that you probably won't use for a while. One of the selling points of iOS is that its more restrictive nature makes it more secure. But even though it's easier for users to accidentally install malicious apps on Android, data collected by Google (PDF) indicates that less than one percent of Android users have actually done so. Quoting: "During October 2014, the lowest level of device hygiene was 99.5% and the highest level was 99.65%, so less than 0.5% of devices had a Potentially Harmful Application (PHA) installed (excluding non-malicious Rooting apps). During that same time period, approximately 0.25% of devices had a non-malicious Rooting application installed. ... Worldwide, excluding non-malicious Rooting applications, PHAs are installed on less than 0.1% of devices that install applications only from Google Play. Non-rooting PHAs are installed on approximately 0.7% of devices that are configured to permit installation from outside of Google Play. Additionally, the second graph shows devices with any PHA (including Rooting applications). Rooting applications are installed on about 0.5% of devices that allow sideloading of applications from outside of Google Play." 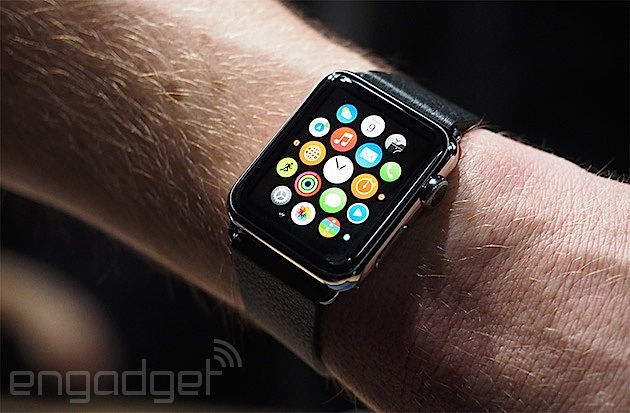 Let's say you've devoured just about everything you can find on the Apple Watch but are still craving more. That's perfectly natural. 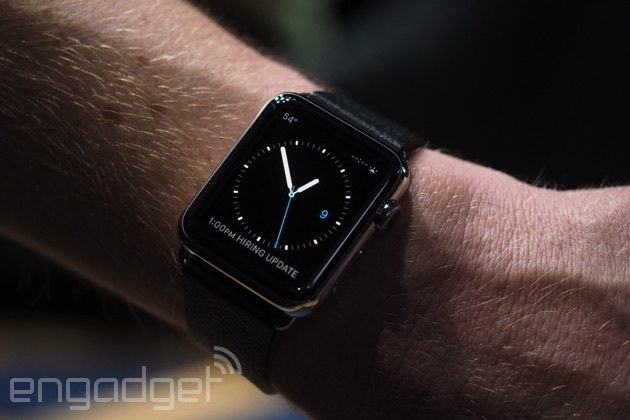 Well, Cupertino has a guided tour of the wearable that should help answer any remaining questions you might have. For now there are four separate videos with a disembodied voice talking through the different features (messages, general functionality, digital touch and faces), showing how they work and generally being pretty informative. The digital crown, for example, is apparently as integral to Watch as the clickwheel was to the original iPod. Huh. 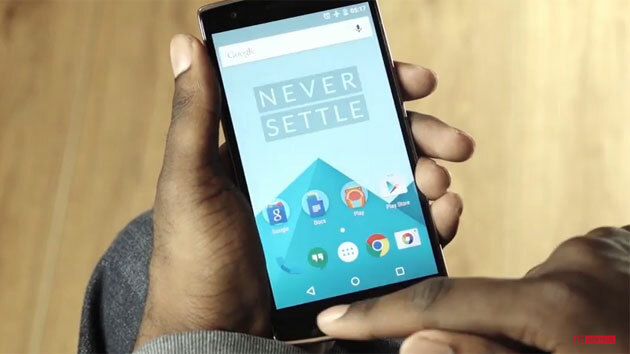 After a pretty sizable delay, OnePlus has at last released OxygenOS, its in-house version of Android 5.0 Lollipop. As promised back near the start of the year, thisCyanogen replacement is all about a "back to basics" approach that keeps things stock unless the startup thinks a new feature would be genuinely useful. 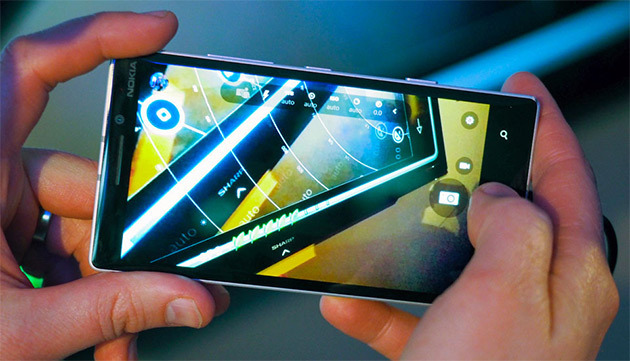 Right now, that's largely limited to features you already had on your One: you can draw Oppo-stylegestures to trigger functions when the screen is off, switch between hardware and software navigation keys and customize your quick-access settings. OxygenOS isn't for the faint of heart at this stage, since you'll have to be comfortable with installing ROMs (and likely put up with early bugs), but it's worth a shot if you want to catch a glimpse of OnePlus' software future. Here's a textbook case of irony: the Apple Watch may not have a quick launch in Switzerland... you know, the spiritual home of watches. Swiss broadcaster RTS reportsthat Leonard Timepieces has a trademark in the country that supposedly prevents companies from using the word "apple" in association with watches and other jewelry. The 30-year-old legal filing expires on December 5th, but that's not much consolation to Apple if it hopes to challenge the traditionalists in Geneva this year. VGBAnext v1.2.6 is released. VGBAnext emulates GBA, GBC, and GB handheld gaming consoles and their addons, such as tilt sensors, vibration packs, printers, and cheating devices. VGBAnext is specifically opimized for Android devices and comes with cheats for dozens of popular games. It lets you save game progress at any moment, or even rewind gameplay back in time. You can exchange saved game states with other users, or play together by using the network play. VGBAnext supports GoogleTV and a variety of gamepads, including Xperia Play, Moga, iCade, Wiimote, Sixaxis, Nyko PlayPad, and others. * Supports full screen landscape and portrait modes, with many special effect options and customizable skin. * Supports Moga and iCade gamepads, Nyko PlayPad, Xperia Play, Wiimote and Sixaxis. * The built-in Cheatopedia offers cheat codes for dozens of popular games. * Rewind gameplay 16 seconds back with a single keypress. * Share your current progress with other users via State Exchange feature. * Use Network Play to play with other users over WiFi. * Play with your hardware keyboard, gamepad, touch screen, or accelerometer. * Record game soundtrack to MIDI files and use them as ringtones. * On-screen buttons can be freely rearranged. * Now resetting rotation when screen mode changes. * Fixed score bar in Pinball Tycoon. * Fixed crash when detecting an outdated version. * Moved GB options straight into Emulation Settings. * Added Ice Age and Increidble Hulk GBA cheats. * Added Iridion3D and Iridion II GBA cheats. * Added Karnaaj Rally and Hey Arnold GBA cheats. * Added Adventure of Lolo and Catz GB cheats. * Added Alfred Chicken and Casper GB cheats. * Added Airforce Delta, Croc and Croc 2 GB cheats. - Released free Speccy 3.4 for Windows and Linux. - Fixed Casltevania by moving default breakpoint to 0065h. - Fixed Emulation Settings not showing up from File Selector. - Fixed sound tone remaining after disabling melodic sound. - When assigning keys, DPAD_CENTER button confirms assignments. - Added "Autoload Tapes and Disks" emulation option. - Added "Audible Tape Loading" emulation option. - Added "Melodic Sound" emulation option. - Cleaned up the grid view in the File Selector. - Enabled application-wide graphics acceleration. - Fixed Emulation Settings not showing up. - Removed group inside Emulation Settings. - Added navigation menu and tile view to the File Selector. - Moved view toggles to the navigation menu. - Made "grid view" and "tile view" options separate. - Added "up" button to the main emulator title bar. - You can add your own game database in "/sdcard/VGB/names.dat". - DPAD_CENTER now confirms key assignments. - VGB shows up in Google Play for AndroidTV. - fixed gamepad settings bugs. - Added mouse support(+trackballs like X-Arcade Tankstick) for Nvidia Shield devices (You have to enable on settings). - New video sync and refresh speed options. - Enabled application-wide hardware graphics acceleration. - Fixed Emulation Settings not showing up and removed extra screen. - Moved File Selector view toggles to the navigation menu. - Added "up" button to the emulator title bar. - You can add own game database in "/sdcard/iNES/names.dat". - DPAD_CENTER confirms key assignments. - iNES now appears on Google Play for AndroidTV. - Fixed VRAM writes when VDP is in read mode. - Fixed graphical glitches in Klax (both SMS and GG). - Fixed title screen garbage in Wolf Child. - Fixed corrupted explosion craters in AstroWarrior. - Added 15 new GameGear games to the Cheatopedia. - Added navigation menu to the File Selector. - Added tile view to the File Selector.